Student Loans: Parents signing on for them? Many families are making plans to pack up the belongings of their recent high-school graduates and move them off to college. The experience of life on campus is exciting and provides many opportunities for growth. But if listening to the sobering stories of the 2010 graduates from universities across the country are any indication of what’s ahead, parents as well as the students would do well to seriously consider exactly what they’re getting into. Research tells us that the job market for graduates is not promising, except for those in a few selected areas of study. Signing on the line for student loans is not difficult. The terms of the loan may be explained but the official-sounding language can be confusing to the student and to the parent. This is actually the best time to really think through what would happen if things didn’t work out as planned. It is a fact that close to half of the students enrolled in college do not graduate. What’s more concerning is that often the parents have co-signed for loans covering college expenses with the ‘understanding’ that the student will be responsible for repayment once they graduate. If that doesn’t happen, parents may be shocked to learn that they indeed will be the ones re-paying that loan. Defaults have a serious impact on the parent’s credit scores. 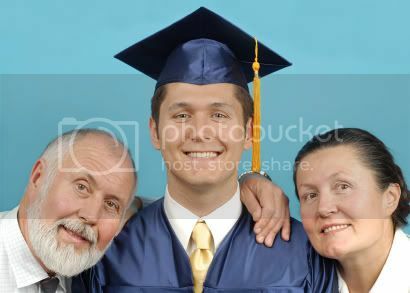 It is not unusual for parents to have several student loans to repay for more than one child. These loans may come due at a point in their lives when it’s going to be extremely difficult for them as they’re trying to save for their own retirements. Four-year and six-year degree programs are no longer a guarantee of a job. In fact, geographical location, competition from other candidates and a sour economy means graduates are faced with few prospects for employment. It’s disheartening when they realize that those loans, so easy to sign for, are now coming due. Recently, Minnesota Public Radio posed the question to listeners: would you go deeply into debt for a college education? Noting that graduates from Minnesota colleges and universities in 2008 carried an average student debt of more than $25,000, they asked for honest feedback.